Talaat Pasha taught me a new word: escheat. When a person dies with no heir, his land and estate escheat to the government. The term comes from the Latin ex-cadere, to “fall out”, via medieval French, escheoir. As Interior Minister and one of the leaders of the Committee of Union and Progress that controlled the Ottoman Empire during the First World War, and a principal architect of the genocide of the Armenians, Talaat Pasha felt he had a vested interest in many such estates. The American Ambassador, who had been reading reports of the genocide since 1915, replied, “You will get no such list from me,” rose, and left the room, ending the meeting. He later said it was the most astonishing request he had ever heard. After the American entry into the war, Morganthau departed. 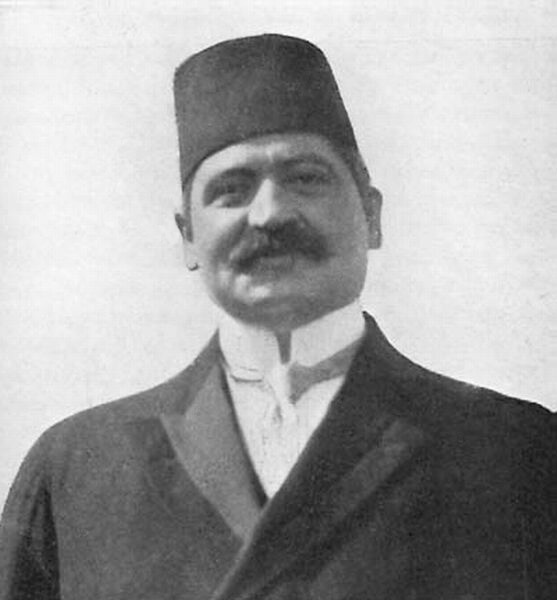 Talaat Pasha also departed, resigning in 1918 as the Ottoman Empire crumbled; he boarded a German submarine in Constantinople harbor and found his way to Berlin. Tried in absentia for leading his nation into a war, for genocide and plunder, he was condemned to death. In 1921, an Armenian who had lost his family in the genocide obligingly carried out the sentence, shooting Talaat Pasha in the head as he stepped out of his house in Berlin. Talaat Pasha never did collect on all those life insurance policies.